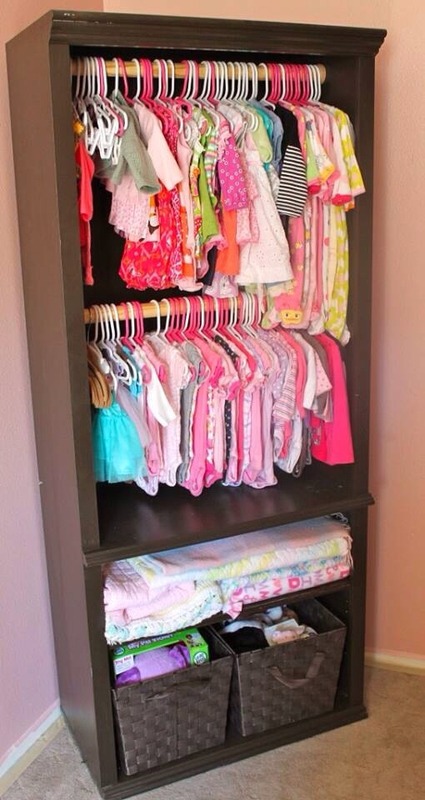 Not Enough Space In The Closet For All Child's Clothes? DIY Closet! Turn an old book shelf in to an extra closet! DIY... Only a few things needed for this idea.